Get a jumpstart on accomplishing your conference goals during AASL’s 2017 National Conference and Exhibition by making discoveries Beyond the Horizon! You will want to do some pre-planning before you arrive in beautiful Phoenix, Arizona, and peruse the Schedule at a Glance. One event you won’t want to miss is Authors in the Afternoon on Thursday, November 9, 12:30-2:30 p.m. A ticket is required to attend this event, so be sure to purchase your ticket by adding it to your registration. Hear from a best-selling and award-winning panel. There is no better way to kick off the official first day of the conference than spending time with some of your favorite authors: Sarah Dessen, Christian Robinson, and Jordan Sonnenblick. They are sure to serve up some savory conversations about their latest work as you enjoy a wonderful boxed lunch. 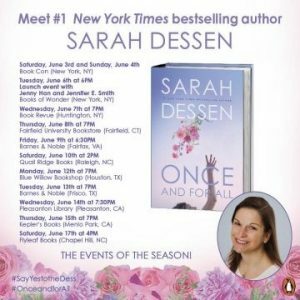 Follow her blog at http://sarahdessen.com/news/ to keep up with her tour schedule. Check out a poster Robinson created for Children’s Book Week earlier this year that affirms his passion for reading. 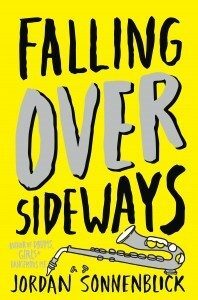 Learn more about Sonnenblick’s latest book The Secret Sheriff of Sixth Grade and what questions you might have for the author. Participate in a Q & A with the panel. Panel interviews will be conducted using questions submitted by attendees in advance. 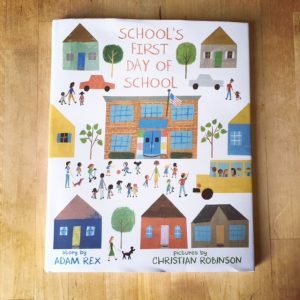 How often have you thought about questions for an author/illustrator after reading a book? Books stir up many emotions, so be in the room when authors/illustrators share the ingredients of their success. Get FREE books. Who doesn’t love free books? Attendees will receive a book from each author and the dessert of the event will be a signing at the conclusion of the event.